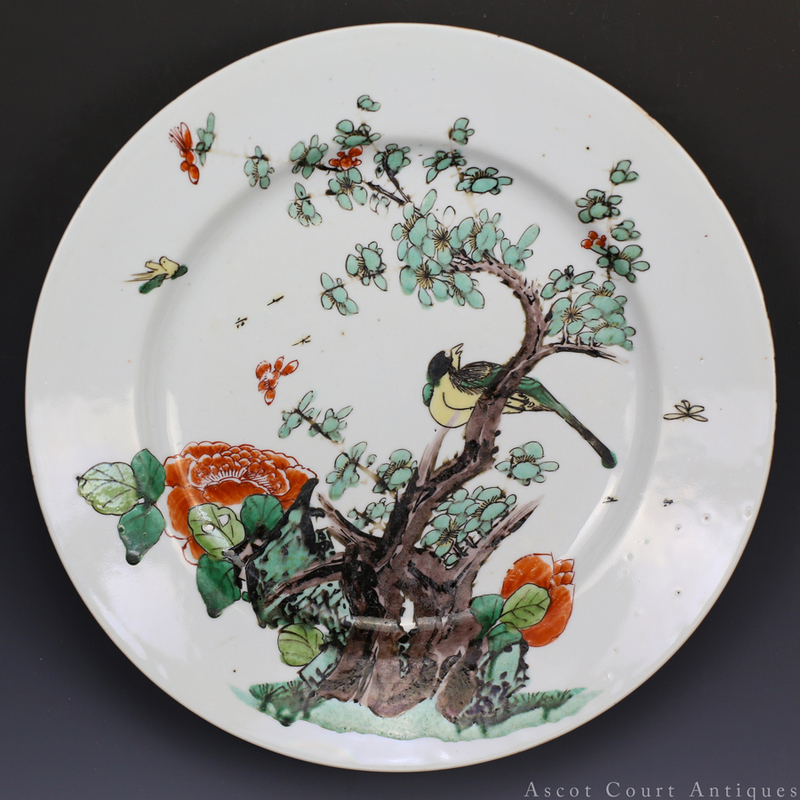 A captivating Kangxi famille verte large plate, painted with a bird perched against a flowering prunus tree, along with rockwork and large carmelia sprigs, all against a simple white-glazed background. 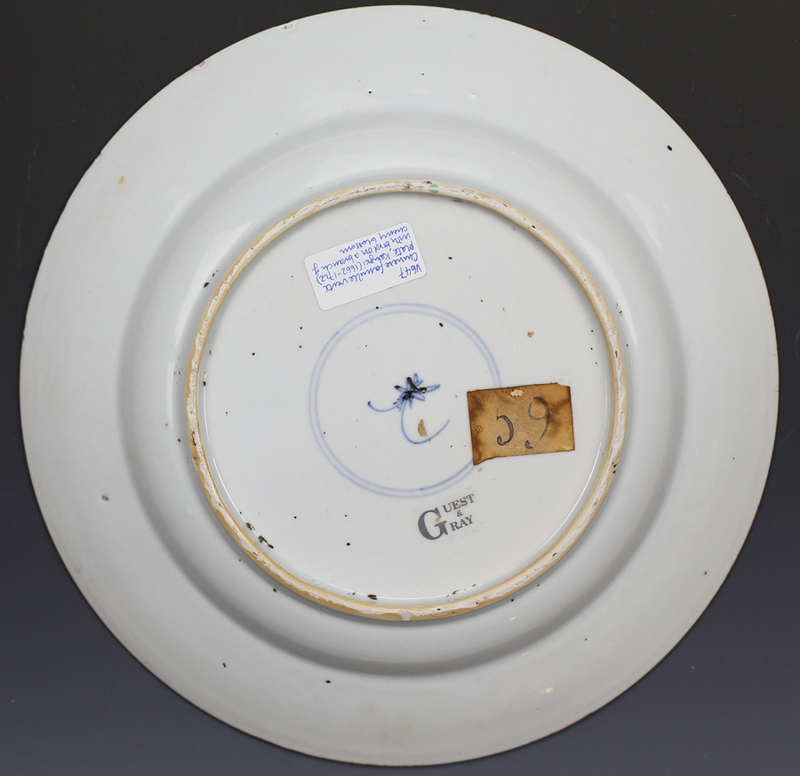 The painting brushwork of this plate is of a bold, vigorous, and spontaneous style highly representational of Chinese-taste Kangxi porcelains. In Chinese arts, the early 18th century saw a maturation of aesthetic ideals formulated in the 17th century. 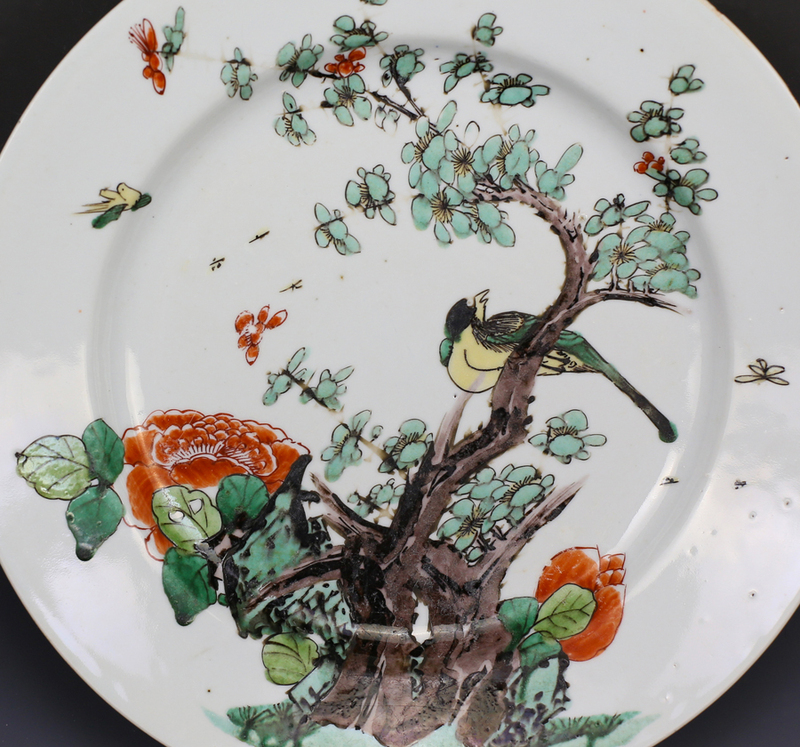 In particular, painters and potters produced new works that combined the late Ming quest for “a universe of feelings” (qing) with the literati’s love for romanticism and the theatre. 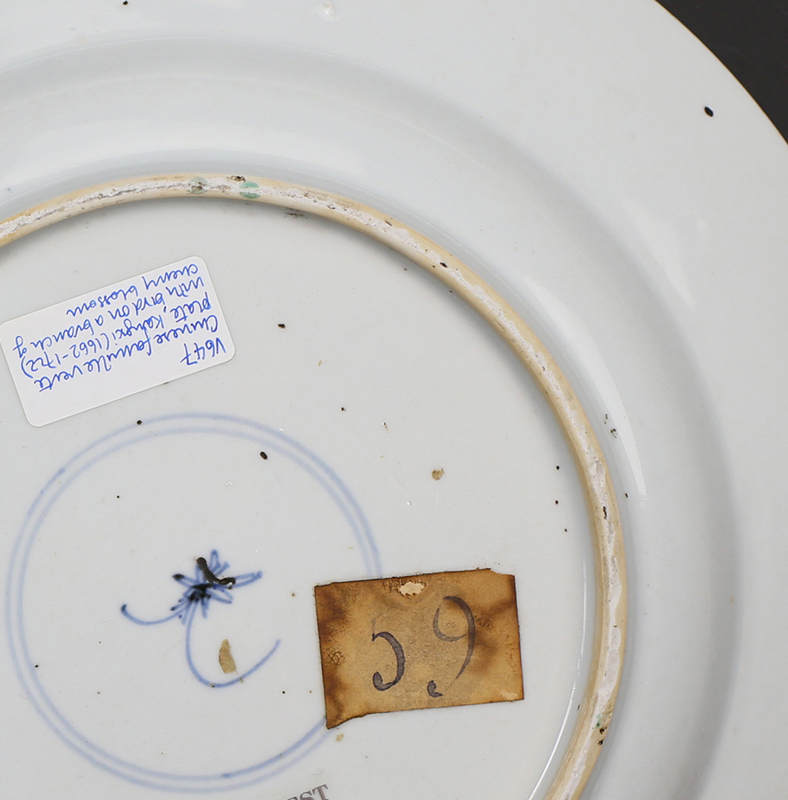 Art objects such as this plate were painted with sweeping movement, emotional appeal, and daring drama. 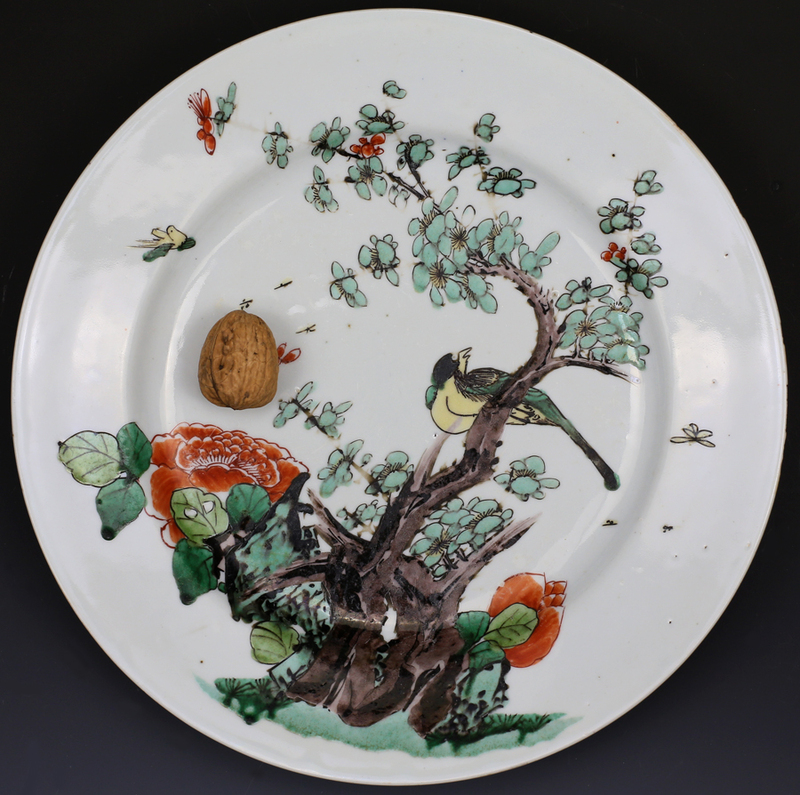 The bird and flower design of this plate may have been inspired by 17th c woodblock prints such as “Painting Manual of the Mustard Seed Garden” (Jieziyuan huazhuan) or “Treatise on the paintings and writings of the Ten Bamboo Studio” (Shizhuzhai shuhua pu).